In partnership with Wood River Fine Arts (Tom Bassett & Sandy Gregorak), Randi Kanellitsas, and Gamblin Artist Colors, I organize plein air workshops for the top landscape painters in the country: Jill Carver, Skip Whitcomb, Kathryn Stats, G. Russell Case, Michael Lynch and more on the way. In the Fall of 2018, Kathy is the guest artist for two workshops with Lori McNee in Giverny, France and Tuscany, Italy. In this beautiful part of the world, Sun Valley, Idaho, you have easy access to the best painting spots anywhere. Mountains, rivers, trees, cows and horses, excellent small town scenes and mountain gardens. All are within a 20 minute drive. Workshops are always in June and September. 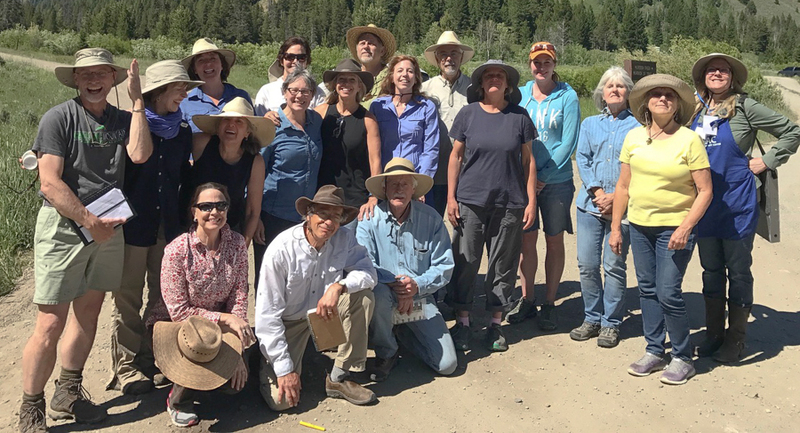 Each morning, we meet at the studio, a large indoor space in downtown Ketchum with kitchen and bathrooms, and listen to lectures, watch demos, engage in quick critiques of the previous day’s field work, and discuss the plans for the day. We try to get to locations by 9-9:30 to get the good light. With many hotels in-town to choose from, everything is convenient to guarantee a great experience. I make group reservations for wonderful dinners out most nights, which are optional if you’d rather paint the sunset or have a quiet dinner. Spouses, partners, friends are welcome to the dinners. You can fly into Sun Valley, Twin Falls (1.5 hrs) or Boise (2.5 hrs.) Rental car services are available at all three airport. I am currently working on a new slate of instructors for 2019. They always sell out so please join the mailing list if you’d like to be the first to hear. 2018 Workshops are filled! Please contact Kathy to placed on waitlist for Jill Carver's workshop, Sept 30-Oct 4, 2018.